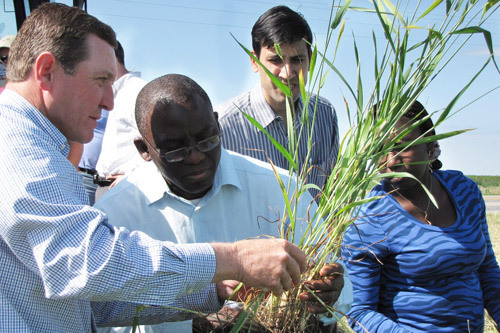 Global awareness has never been more important in agriculture than it is today. U.S. agriculture is dependent upon markets around the world for growth. Ninety-six percent of the world’s population and 80 percent of the world’s wealth are outside the United States. Middle-class populations are expanding rapidly in Asia, Latin America, the Middle East and other parts of the world compared to the domestic, more mature U.S. market. We are the world’s largest wheat exporter. One in three acres of cultivated cropland is destined for export. And one in seven milk tankers ends up in dairy products exported to global customers. There is no way around it. Every aspect of U.S. agriculture is affected in some way by global markets abroad. Even if our students of today don’t end up in the export business, they will be impacted by global markets, which influence commodity prices. The political discontent with Russia and the resulting embargoes Russia has placed on products from the United States and Europe have created a ripple effect around the world. European dairy products that can no longer be exported to Russia are being diverted to other markets. U.S. dairy product exporters now face more competition for customers in Mexico, which is driving prices down in Mexico. There are similar effects in other products. As for developing global awareness, nothing beats some international travel first-hand. There may not be many short-term exchange programs at the high school level, but most universities have study abroad programs or short-term exchanges. Actual international travel is an eye-opening experience. Indeed, many students may not be able to afford to participate. 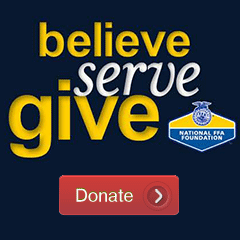 Maybe an FFA chapter could provide an activity scholarship. If not, study is certainly the next best thing. Various classroom activities can help students improve their global awareness. Incorporating top export markets into studies on crops or livestock can help foster an appreciation for the importance of export markets to U.S. agriculture. Even better is assigning a presentation on a market of interest. The project could encompass top U.S. agriculture export products to the market, population, economic growth, cultural differences in food consumption patterns, geography, transportation infrastructure, cold chain capabilities, and market segments of food service, ingredients or retail. You can dive even further and include differences in business practices such as the protocol for the exchange of business cards (very formal process in Asian countries), gift giving practices (again very important in Asia), negotiation styles, importance of personal relationships, etc. Even if a student never leaves the United States, a respect for other cultures will be paramount to career success. The workforce is becoming more and more diversified. The chances are extremely high that students will work in an organization with people from various ethnic backgrounds. Global awareness will increasingly be desired by employers looking for employees able to work well with multi-cultural colleagues. The phrase “it’s a small world” has never been truer. Developing a global awareness among our FFA members will enhance their preparedness for career success. 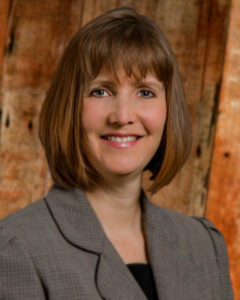 Laura Johnson is the bureau chief for market development in the Idaho Department of Agriculture. She is a former Idaho FFA State President and received a bachelor’s degree in marketing from the College of Business at Boise State University in 1990.